You can also search for providers and practices at Penn Medicine Lancaster General Health or Princeton Health. Dr. Lewis is employed by Penn Medicine. The Patient Satisfaction Rating is an average of all responses to the care provider related questions shown below from our nationally-recognized Press Ganey Patient Satisfaction Survey. Patients that are treated in outpatient or hospital environments may receive different surveys, and the volume of responses will vary by question. Responses are measured on a scale of 1 to 5 with 5 being the best score. Comments are submitted by patients and reflect their views and opinions. The comments are not endorsed by and do not necessarily reflect the views of Penn Medicine. Hospital of the University of Pennsylvania: Has privileges to treat patients in the hospital. Penn Medicine Radnor: Has privileges to perform procedures. 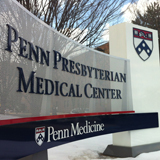 Penn Presbyterian Medical Center: Has privileges to treat patients in the hospital. Goldberg D, Lewis JD, Halpern SD, Weiner M, Lo Re V: Validation of three coding algorithms to identify patients with end-stage liver disease in an administrative database Pharmacoepidemiol Drug Saf 22 (1): 103-7,2013 . 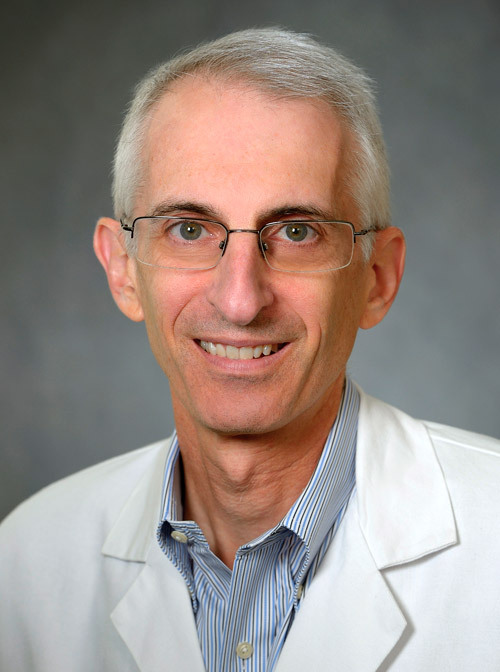 Scott Frank I, Osterman Mark T, McConnell Ryan A, Lorusso Monica, Aberra Faten, Kerner Caroline, Lichtenstein Gary R, Lewis James D: Impact of JC Virus Antibody Testing in Patients with Crohn's Disease with Loss of Response to Infliximab: A Markov Model. Inflammatory bowel diseases 19 (12): 2625-33,2013. Kappelman Michael D, Long Millie D, Martin Christopher, Dewalt Darren A, Kinneer Patricia M, Chen Wenli, Lewis James D, Sandler Robert S: Evaluation of the Patient Reported Outcomes Measurement Information System in a large cohort of patients with Inflammatory Bowel Diseases. Clinical gastroenterology and hepatology : the official clinical practice journal of the American Gastroenterological Association 12 (8): 1315-23,2014. Li Dan, Collins Bernadette, Velayos Fernando S, Liu Liyan, Lewis James D, Allison James E, Flowers Nicole T, Hutfless Susan, Abramson Oren, Herrinton Lisa J: Racial and Ethnic Differences in Health Care Utilization and Outcomes Among Ulcerative Colitis Patients in an Integrated Health-Care Organization. Digestive diseases and sciences 59 (2): 287-94,2013. Solomon Daniel H, Curtis Jeffrey R, Saag Kenneth G, Lii Joyce, Chen Lang, Harrold Leslie R, Herrinton Lisa J, Graham David J, Kowal Mary K, Kuriya Bindee, Liu Liyan, Griffin Marie R, Lewis James D, Rassen Jeremy A: Cardiovascular Risk in Rheumatoid Arthritis: Comparing TNF-α Blockade with Nonbiologic DMARDs. The American journal of medicine 126 (8): 730.e9-730.e17,2013. Baddley John W, Winthrop Kevin L, Chen Lang, Liu Liyan, Grijalva Carlos G, Delzell Elizabeth, Beukelman Timothy, Patkar Nivedita M, Xie Fenglong, Saag Kenneth G, Herrinton Lisa J, Solomon Daniel H, Lewis James D, Curtis Jeffrey R: Non-viral opportunistic infections in new users of tumour necrosis factor inhibitor therapy: results of the SAfety Assessment of Biologic ThERapy (SABER) Study. Annals of the rheumatic diseases 73 (11): 1942-8,2014. Minot Samuel, Bryson Alexandra, Chehoud Christel, Wu Gary D, Lewis James D, Bushman Frederic D: Rapid evolution of the human gut virome. Proceedings of the National Academy of Sciences of the United States of America 110 (30): 12450-5,2013. Osterman Mark T, Haynes Kevin, Delzell Elizabeth, Zhang Jie, Bewtra Meenakshi, Brensinger Colleen, Chen Lang, Xie Fenlong, Curtis Jeffrey R, Lewis James D: Comparative Effectiveness of Infliximab and Adalimumab for Crohn's Disease. Clinical Gastroenterology and Hepatology 12 (5): 811-817,2014. Zhang Jie, Xie Fenglong, Delzell Elizabeth, Chen Lang, Kilgore Meredith L, Yun Huifeng, Saag Kenneth G, Lewis James D, Curtis Jeffrey R: Trends in the Use of Biologic Therapies among Rheumatoid Arthritis Patients Enrolled in the U.S. Medicare Program. Arthritis Care & Research 65 (11): 1743-51,2013. Koeth Robert A, Wang Zeneng, Levison Bruce S, Buffa Jennifer A, Org Elin, Sheehy Brendan T, Britt Earl B, Fu Xiaoming, Wu Yuping, Li Lin, Smith Jonathan D, Didonato Joseph A, Chen Jun, Li Hongzhe, Wu Gary D, Lewis James D, Warrier Manya, Brown J Mark, Krauss Ronald M, Tang W H Wilson, Bushman Frederic D, Lusis Aldons J, Hazen Stanley L: Intestinal microbiota metabolism of l-carnitine, a nutrient in red meat, promotes atherosclerosis. Nature Medicine 19 (5): 576-85,2013.